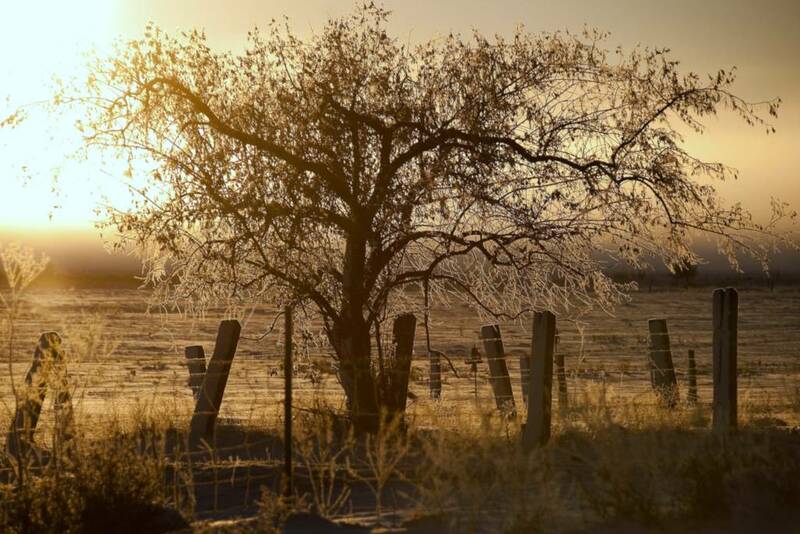 You’re the proud owner of a brand-new olive tree, but recent cold weather got you worrying? Not only is your olive tree much hardier than you think, it actually needs the cold to bear delicious olives! This mythical tree connects us to our ancestors who grew it the ancient Middle East, Greece, and Egypt. Modern science is just beginning to unravel how important the environment is to produce olives and great-tasting oil. Interestingly, many varieties of olive trees in temperate climates actually need some degree of cold weather. If planted in areas where winter is too mild, an olive tree won’t enter dormancy and flower buds won’t fully mature. That’s why an olive tree planted in a tropical climate will almost never bloom and bear fruit. Each variety is different in this respect. Usually, the intensity of the cold required and the duration of it depends on the local climate where the variety was developed. For example, the Spanish ‘Arbequina’ olive variety needs to be exposed to temperatures around 7°C for at least 300 consecutive hours. During these hours, flower buds mature and form to get ready to bloom. 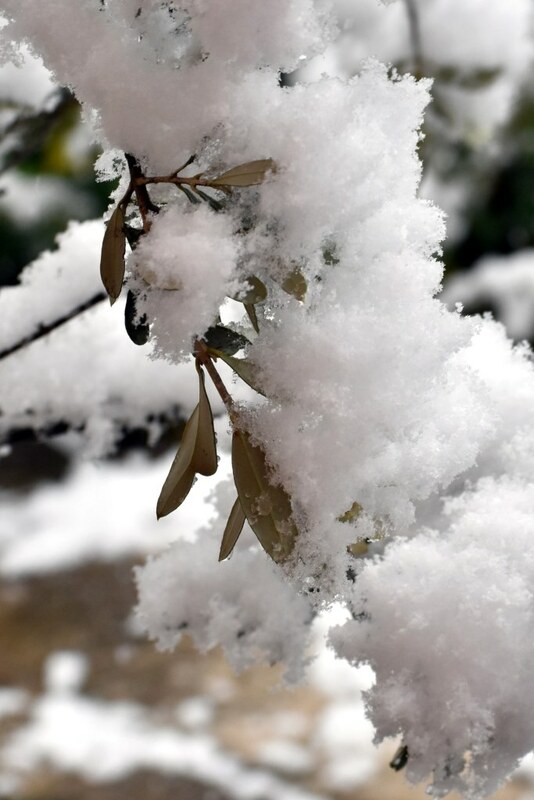 Winters are short in Catalonia, where Arbequina comes from. Italian olive varieties ‘Frantoio’ and ‘Leccino’, on the other hand, require over 600 hours of 7°C temperatures. In Italian regions where olive is grown, winter is longer than winter in Spain. Of course, temperatures never stay at 7°C for exactly 300 or 600 hours. In reality, time during which temperatures deviate from this optimum count “for less”. Practically, the word “chilling unit” is used to make counting and measuring this easier. It’s more accurate than “chill hour“. If the needed “chilling” doesn’t occur, buds on the olive tree won’t turn into flowers. Instead, only leaves or branches would appear. 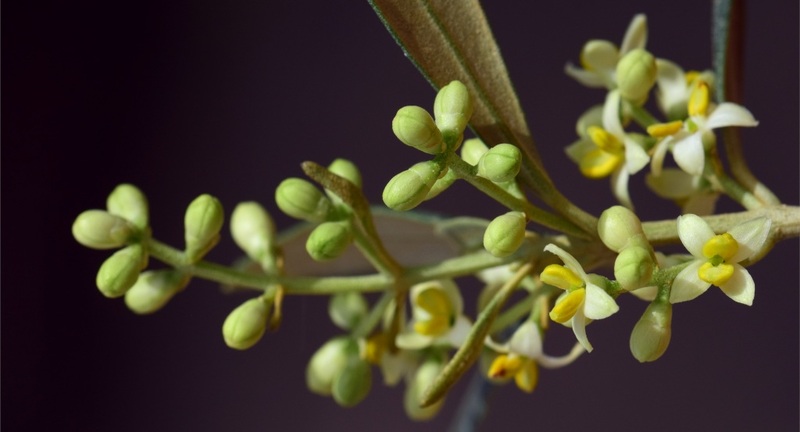 That’s why chilling is called a “trigger” for blooming on an olive tree. After experiencing the required amount of “cold”, flower buds are ready on the branch and remain dormant. Dormancy is lifted when temperatures around the tree warm up. The warmer the air, the faster triggered flowers bloom. The amount of accumulated heat is measured with a unit called “Thermal time“, “Thermal days” or “Growing degree days” (or hours). If it gets too hot too fast, flowers might bloom and wilt before pollination, which also isn’t good. Experts are able to compute this with mathematical models. When given temperature data for a specific place, they’re able to predict when the olive tree will bloom almost to the day! Since each variety is different, the mathematical formulas have to be adjusted every time. Research is constantly underway to do this for each cultivar and type. It is a fascinating field of study and there is still a lot to discover! Why do I have to know about olive tree chill units? When planting an olive tree, apart from the ornamental olive tree’s value, what’s important is yield and harvest. Selecting the right olive tree variety for your zone or location is key. 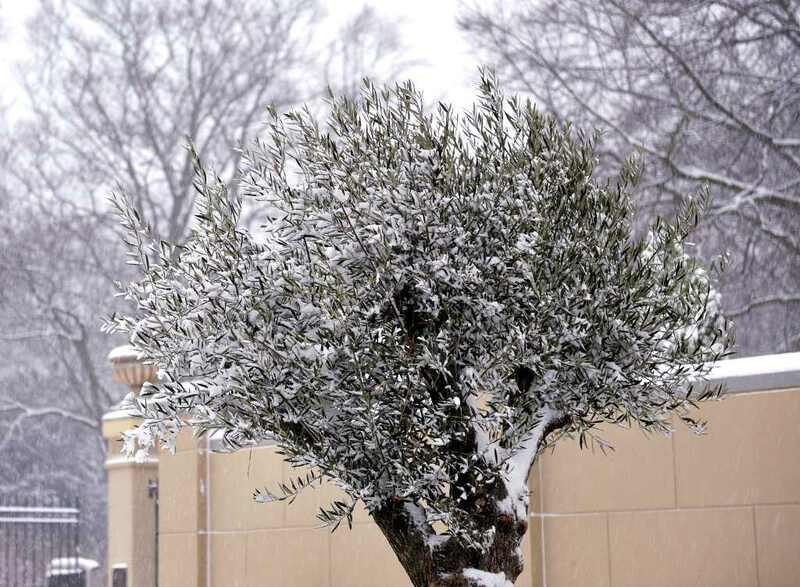 For places with short winters, select olive tree cultivars with low chill unit requirements. If a tree doesn’t get enough cold hours, it won’t flower or bloom properly. You might still get fruits, but not as much as expected. Low chill hour cultivars are called early-flowering cultivars. For places with long winters, select olive tree varieties with higher chill unit requirements. If ever you choose a tree that doesn’t require a lot of chill units, it might start blooming in the middle of winter. Blooms would die off at the next frost. Harvest would also be affected. High chill hour cultivars are called late-flowering or tardy varieties. 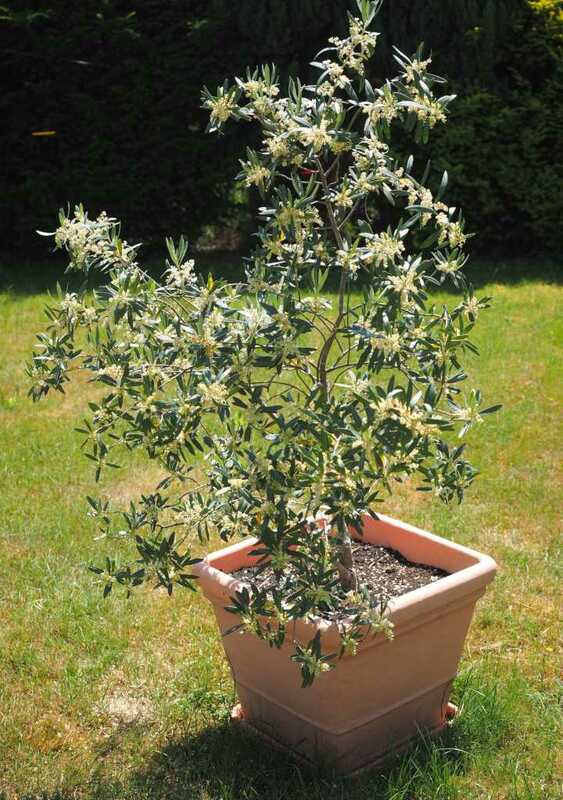 Note on Arbequina – Research has shown that smaller, potted Arbequina olive trees grown in containers were able to produce fruit and flower even without going through frost and chilling. Since chill units accumulate for temperatures up to 70°F (21°C), it doesn’t necessarily disprove the chill unit requirement. Actual experiment data was not provided. Currently, an experiment to discover olive varieties that need less than 100 chill units is underway in Wauchula, Florida. Olive tree might be an option to replace citrus in case of disease. How can I know how many chill units my garden is going through? Many countries and states have set up a tracking system. Check with your local weather bureau, farmer’s coop, or agricultural service center. They’ll provide accurate temperature readings and may even have computed the resulting chilling unit count.